Welcome to the best place to find homemade gifts for teacher's by our handmade artist's on the Markets of Sunshine website. Our collections are a surprise each month, but designed around a theme. We include housewares, note cards, soap, towels, jewelry, home décor and much more! Bibi's Nature Soaps Featured Vendor with Markets of Sunshine! We are pleased to bring you this week's featured Artist of handmade natural soap, Bibi's Nature Soap! 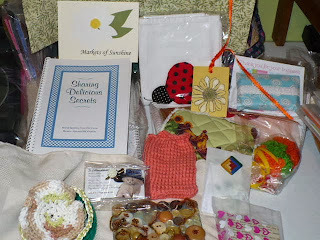 She is one of Markets of Sunshine's vendors in our Gift of the Month Club. She has been selling on Etsy since June 9, 2013. Here are a few items you'll find in her shop and in our gifts by mail program. You'll find both of these items in our Gift of the Month Club packages for November and December 2013! Happy Monday! We'd love for you to share this on your social media sites!